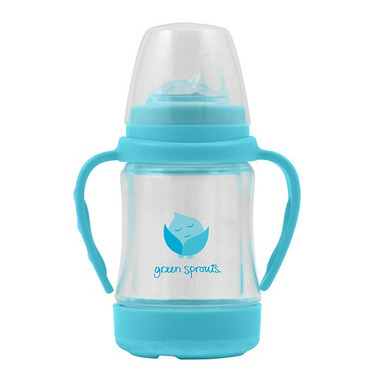 The Glass Sip and Straw Cup by Green Sprouts, allows baby to safely handle a glass cup independently. Liquids only touch glass and silicone on the inside, while the outer plastic shell protects from breakage. A silicone sippy and straw spout are included for extended use and to grow with baby. 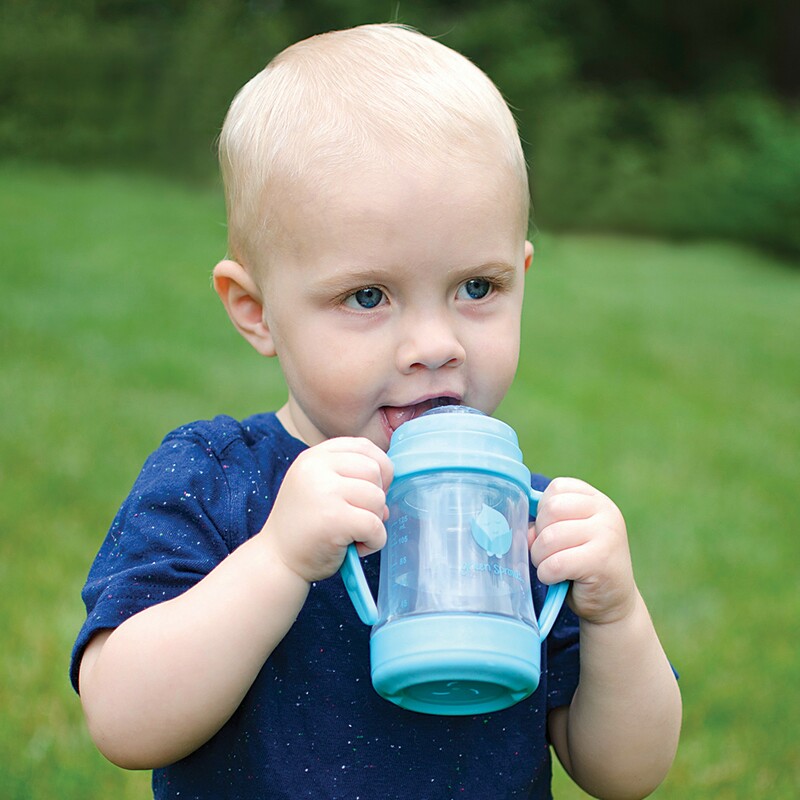 Parents and babies love the Glass Sip and Straw Cup because it is safer from the inside out. Love this sippy cup I been looking everywhere for a glass sippy cup and this is amazing because it has the plastic on the outside definitely recommend this I bought 2 already going to buy more forsure! I really like this cup as an alternative to stainless steel. It would be nice if the silicone sippy peice was sold separately as I would like to replace it every few months or so as I do with other bottles. Great alternative option to plastic. My son throws it out of his high chair constantly and it doesn't break. This is my second purchase of this cup. Love it! my son has thrown it countless times from his high chair and the glass inside hasn't broken or cracked. It says on the box not to let your child chew on it. Well he chewed on it for 1 year and the tip of the straw attachment broke. This company doesn't sell parts so i had to buy a whole new cup which is sitting in the cupboard. All I needed was one small silicone piece. Love that I can have my toddler drinking from a glass cup without worrying about it breaking. Unfortunately it doesnâ€™t hold very much liquid, I wish the glass bottle was bigger.